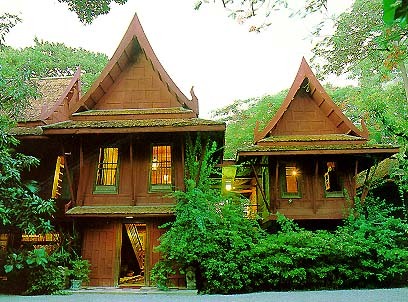 Another Top 5 places must go in Bangkok ! A beautiful place to view of Bangkok city.18km long section of these canals are served by express boats providing a fast, inexpensive means of cutting across traffic-infested Bangkok. They run between 5.30 am and 8.30 pm each day, arriving approximately every 10 to 15 minutes and stopping at 27 piers. Fares range between 10 and 20 baht, depending on how far you travel. During rush hours, try to stay away because it is dangerous and a lot of people pushing around. However, it is convenient for shopping and sight-seeing. There are temples, market and etc. Tips : Simply wave them down and wait patiently for two helmeted deckhands to jump ashore, ropes in hand for fastening. 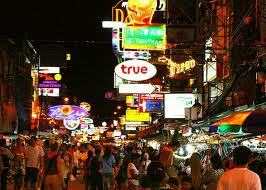 The most famous and biggest weekend market in Thailand. A must visit in Bangkok because its sheer size and diverse collections of merchandise will bring any seasoned shoppers to their knees – this is where you can literally shop ‘till you drop’. Take the Skytrain (BTS) to Mo Chit station, take exit no. 1 and follow the crowd until you see rows of canvas stalls selling clohtes. Turn right while continuing to follow the crowd and you will see a small entrance that leads into the market (clothing section). Operation Time : Saturday and Sunday 9a.m - 6p.m. 1. Wear comfortable shoes as you will walk long distances. 2. Wear light and comfortable clothing as weather is very HOT ! 3. 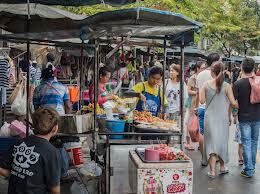 Bring enough cash as most of the vendors don't accept credit cards and the ATMs are very far away. 4. Take good care of your belonging as there are many pickpockets. A famous place for Nightlife because there are many pubs and clubs over there. Most importantly of all, the air of youthful abandon which permeates the place 24/7 is still here, unashamedly and comfortingly intact despite the seemingly unstoppable influx of fast-food outlets (Starbucks, McDonalds and Burger King) and incongruous shopping malls. Take from Victory Monument ( Rajavithi Hospital bus stop ) pass Ratchadumnoen Road. You can get off at Khok intersection ( one stop away from Democracy Monument). A place to chill and party all day long! Entry is always free and drink prices are fixed. The bars usually close at 2.30a.m. 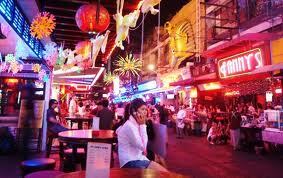 Soi Cowboy is just next to Terminal 21 ! A speciality museum that filled with a magnificent collection of Asian art and many unique displays. There is a shop selling silks shirts for men, T-shirts, scarves and bags for women. 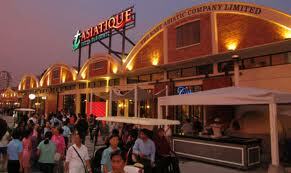 From Sapan Taksin BTS and continue with Asiatique's service Boat.